Rachel and Jeff live in Montreal. The last time they were in Saskatoon was this past fall and they were expecting their first child. 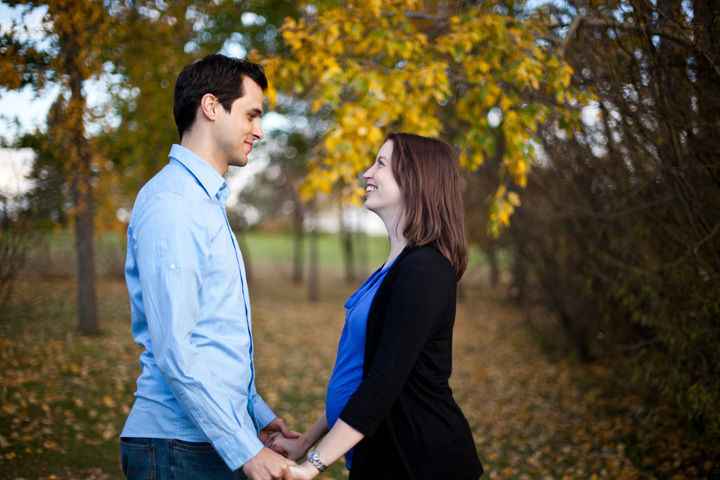 Rachel wanted to capture this moment in their life, but didn’t want maternity photos. She just wanted to have some photographs made of her and Jeffrey just having fun. A nice park by the river seemed like a good place to spend some time with them. It was late in the day and the sun was low in the sky creating a nice warm light. 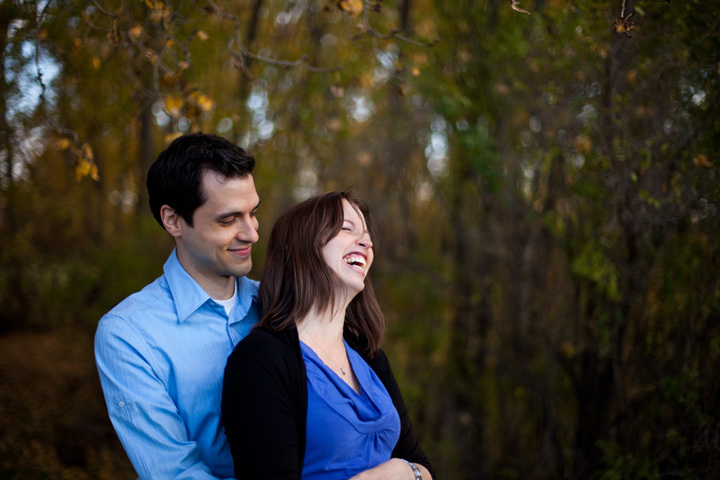 It took a little while for Rachel to get over her case of the giggles, but they did make for some great photos. I was able to also get some nice romantic shots of them as well. A few months later Rachel and Jeffrey welcomed their daughter Ginny into the world, and hopefully I will get the opportunity to get the three of them together for some photos. Here are some of my favourite photographs from the evening, and be sure to also check out their high definition slideshow. 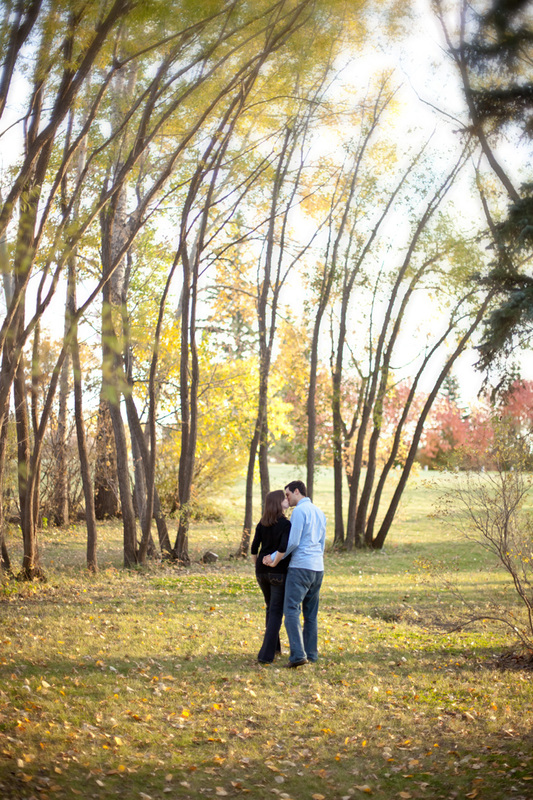 This entry was posted in Blog, couples photography, lifestyle photography, maternity photography, shoots and tagged saskatoon couples photogrpahy, saskatoon engagement photography, saskatoon lifestyle photography, saskatoon portrait photographer by admin. Bookmark the permalink.